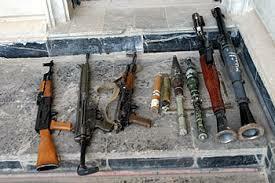 Opposition leaders distributing arms in Bayelsa, says Dickson – Royal Times of Nigeria. 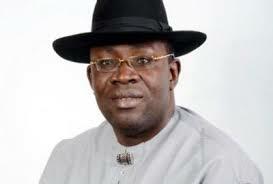 Bayelsa State Governor, Seriake Dickson, has accused security agencies of aiding opposition leaders in the state to stockpile illegal arms ahead of the forthcoming general elections. Dickson, who addressed the state in a live radio broadcast today, said despite all intelligence and reports he tendered to security commanders, those involved in illegal arms are still allowed to work free. The governor said the report available to him indicated that arms were being distributed to cultists to cause mayhem and unleash violence on innocent people at the poll. He said Nigeria would be qualified for a failed state if people are denied the opportunity to participate in a free and fair process of electing their leaders. The governor alleged that the opposition leaders with support from other external forces were planning to turn the state to the Sambisa Forest by tampering with the security architecture through frequent redeployment of security commanders. The governor immediately inaugurated a committee of inquiry on the matter. He appealed to the people of the state to reject the APC candidates and vote for the candidates of the Peoples Democratic Party. The governor further asked the people to resist any form of intimidation and warned that election days are not designed for people to die.